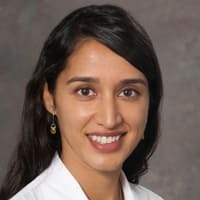 Dr. Smita Awasthi is a triple board-certified (Dermatology, Pediatrics, and Pediatric Dermatology) dermatologist and is the Director of Pediatric Dermatology at University of California, Davis. Although she has a wide range of clinical experience in the diagnosis and management of skin disorders, her areas of interest include atopic dermatitis (eczema), acne, neonatal skin, and genetic disorders. She is an active member of the Society for Pediatric Dermatology and the Pediatric Dermatology Research Alliance and has published in several journals. She is committed to improving the health and well-being of our diverse community through compassion in patient care, research, and education.